Happy Thanksgiving! I hope you had a restful, delicious and thankful day. I woke up yesterday and read some of this book. 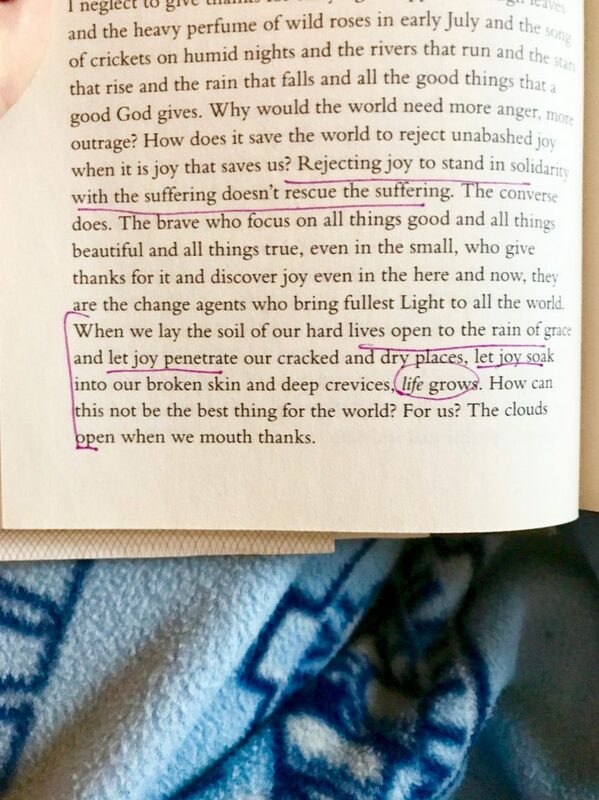 I read and reread the bottom paragraph of this page below multiple times. I want that to be how I experience life. But if I’m honest, often times it’s not. But it sounds so freeing. 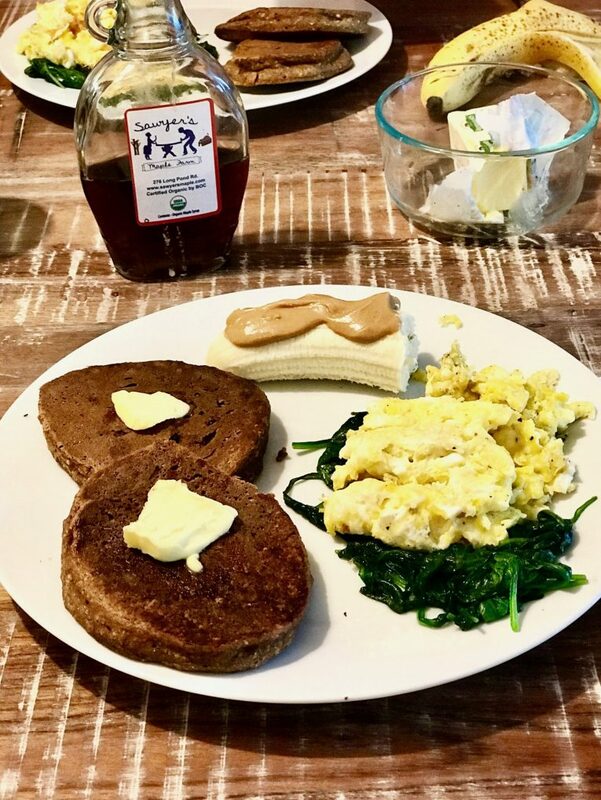 Soon after we tag teamed in the kitchen to make pumpkin chocolate chip pancakes + eggs with cheese and spinach. 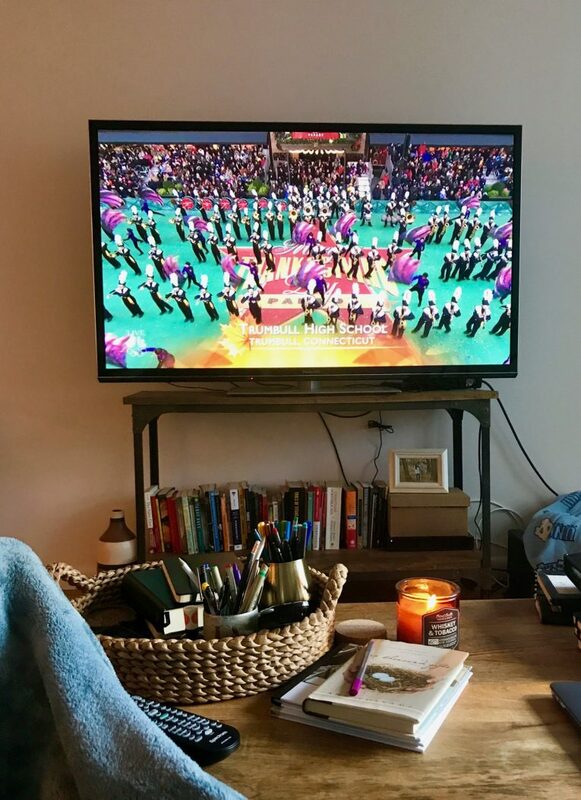 And we spent the morning laying on the couch and watching the Macy’s Day Parade. We braved the crowds to see it in person a couple years ago, but after you do it once…you check it off the list and then watch it from home. For me, watching in person felt lackluster because you don’t get the closeup view so it’s hard to hear everything, you miss out on commentary from the hosts, and you have to wake up super early and stand in the cold. But if you’re in the city, I recommend going at least once. I decided that some movement outside would feel good since we were going to spend the rest of the day inside. So I went on a jog around noon. And then came home to shower + cook! A family from church hosted Thanksgiving at their apartment nearby and we were in charge of bringing wine + appetizers + dessert. Nick picked out the wine and I picked out the recipes. 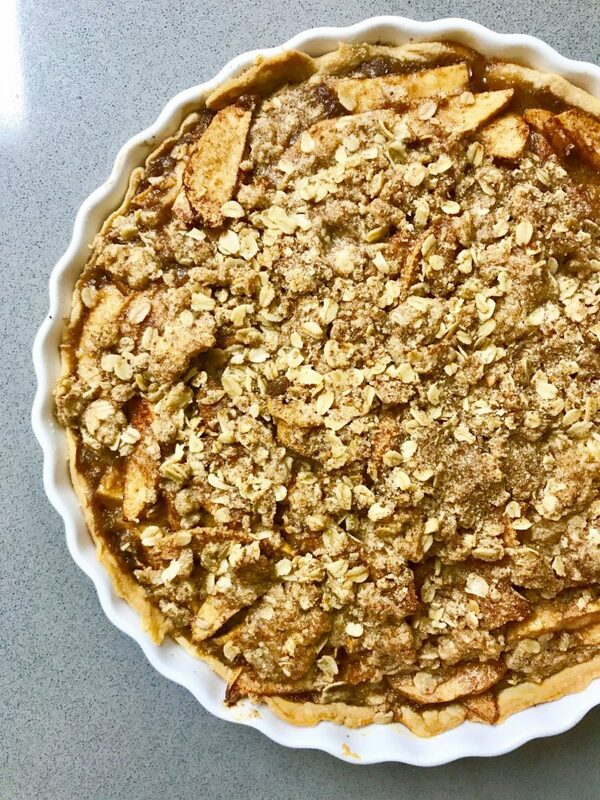 We made this pumpkin apple crisp pie, crescent roll baked brie with brown sugar + pecans (that I forget to photograph) and spinach, artichoke and white bean dip that was inspired by this recipe. The dip was fantastic! And pretty easy. 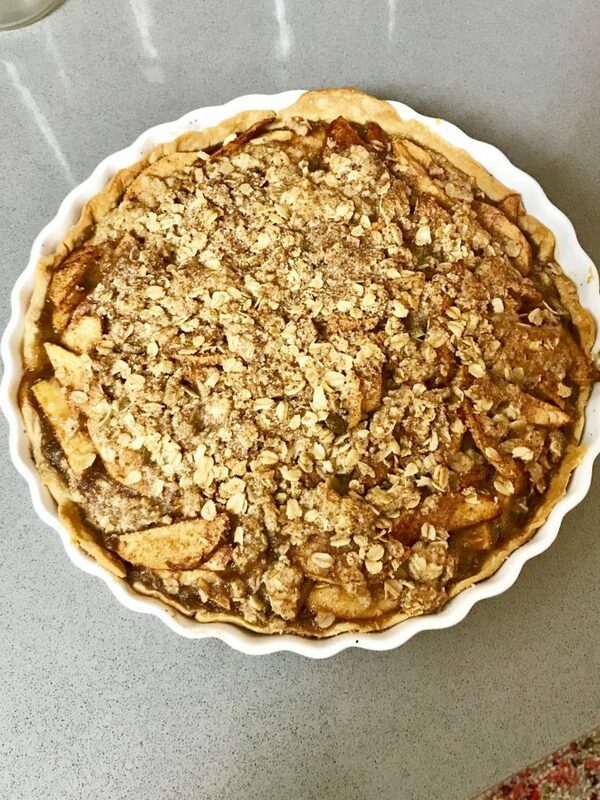 I love Minimalist Baker for the ease and simplicity of her recipes, but often I unveganize them and use what we have on hand and/or what’s cheaper at the store. 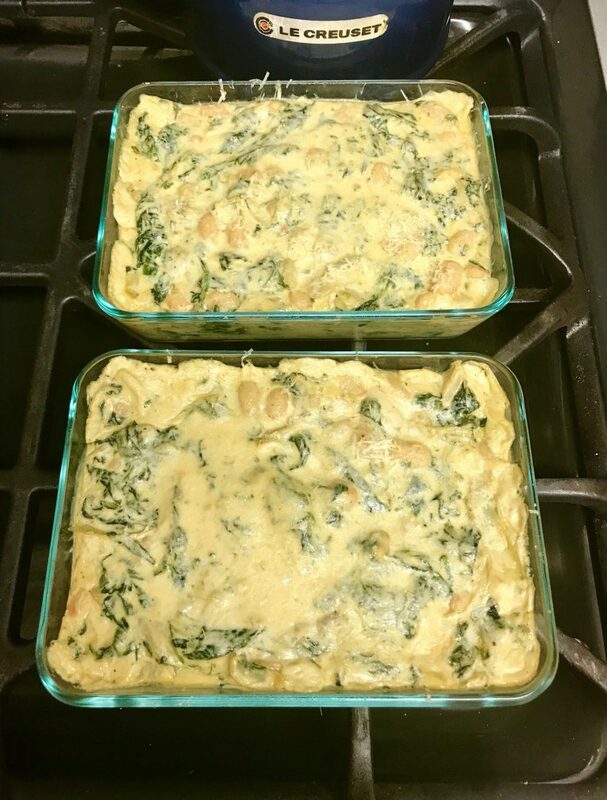 For this recipe, I used spinach instead of kale, regular cream cheese, whole milk and parmesan cheese instead of the what the recipe calls for and it still turned out great! Highly recommend. We served it with pita chips and tortilla chips. We snacked on the baked brie and dip and sipped hot apple cider with bourbon (which sat in the crockpot all day and was amazing btw) and then it was time to eat! As always, I got a little bit of everything. 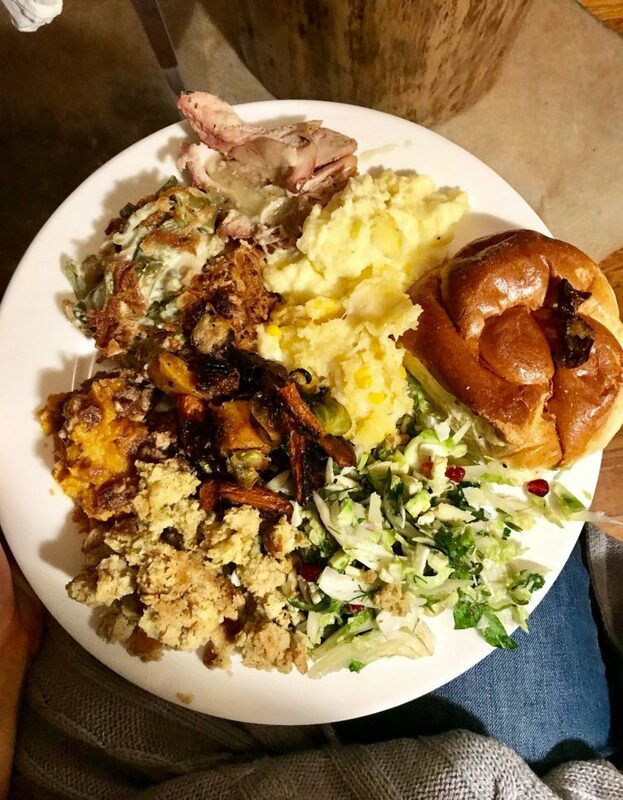 Green bean casserole, mashed potatoes, corn casserole, turkey + gravy, roasted veggies, fennel and pomegranate salad, sweet potato casserole, stuffing and a challah roll. I ended up not touching the roll because I realized I eat rolls every week and didn’t want to take up stomach space with that. The corn casserole was my favorite! 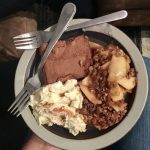 It was a grandmother’s recipe that a friend brought and was sweet and cheesy and amazing. I had a few bites of pumpkin apple crisp pie and pecan pie with homemade whipped cream and decided I didn’t want to be more full than that. Was I a little more full than normal? Yes. But I didn’t feel sick or like I couldn’t breath or like I needed to eat more and more because Thanksgiving is only one day. There are tons of leftovers we were sent home with and we’ll be eating those all week. I’ve definitely had Thanksgivings that didn’t end as “intuitively” and I felt really full, really sick and full of guilt. If you felt similarly this year, it’s okay. I’ve been there too. And it’s a part of this intuitive eating journey. You’re learning more about yourself and tomorrow will bring a lot more learning opportunities. Remember your body is equipped to take care of itself…even if you felt fuller than you’d like. I have a couple nutrition clients this morning and then we have a second Thanksgiving later this afternoon with a close couple friend that I’m looking forward to. YOU GUYS | Thank you for being vulnerable and brave and passionate and courageous and caring. This blog and space would not exist without you. Thank YOU! Face Time is such an amazing gift for being able to talk to sweet family members when they’re miles away. And your Thanksgiving meal with church family looks wonderful; I was watching you share about the dip on your stories yesterday, and it looked DELICIOUS! I love dips with whole milk dairy if people can do dairy. Also, I’m just praising God for His mercy in healing my mind and body to have one of the most intuitive Thanksgivings ever too. 🙂 <3 you Robyn; thankful for you and how God has used you in incredible ways to help so many. It looks like you guys had a great Thanksgiving! I went to yoga with my boyfriend in the morning but then I spent the rest of the day hanging at my apartment, taking it easy and catching up on life. I was invited to join his family, which was so sweet, but I hate feeling like I’m imposing because of my food allergies + the idea of catching up just sounded so nice. Glad you had a restful thanksgiving Katie! love this Robyn….I am so thankful for my family, for our health, that my in-laws welcome my mom on all of our trips so we are all together this holiday, for a warm, comfortable home and a phenomenal place to spend Thanksgiving (we are in VT at our favorite place), for a flexible job, for 3 amazing boyz and an incredibly loving and supportive husband, and for YOU!!!!! That is a short bit of my list but what is top on my mind right now…have a wonderful weekend! Suzanne what a wonderful list of so many good things!! I hope you had a restful and wonderful holiday with your family 🙂 I’m thankful for you too! You know, I never Facetime my family and I NEED to make that happen more often. I don’t know why, but it’s like we’re still stuck in time and just haven’t made use of this feature. Thanks for the reminder! 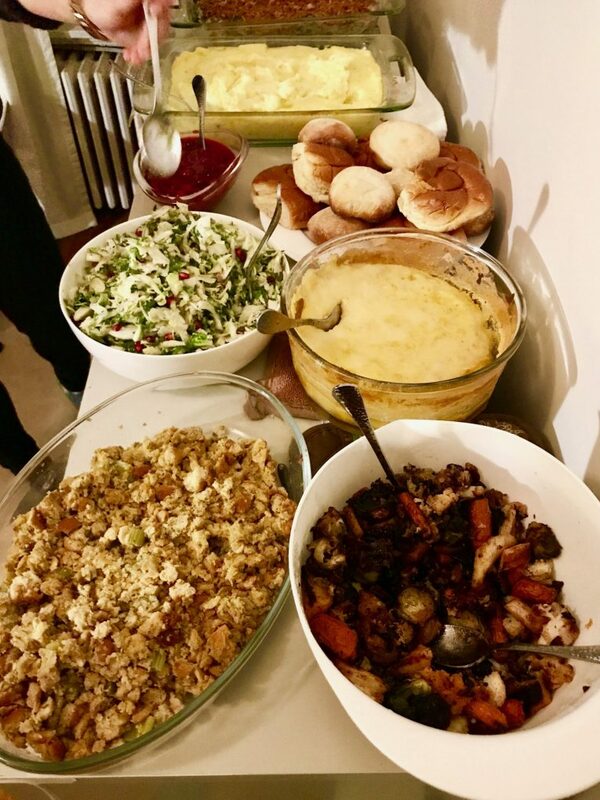 All this looks amazing and Happy Thanksgiving! 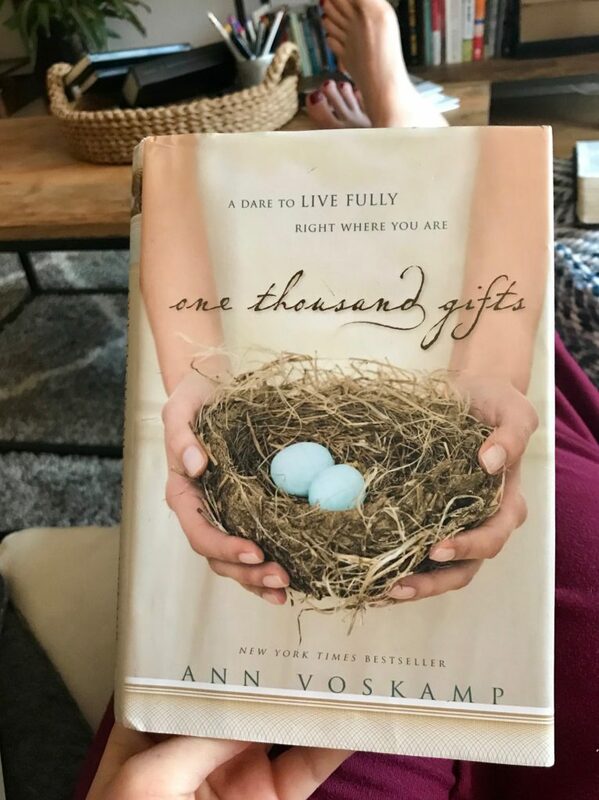 You are making me want to reread 1000 Gifts! So good. Looks like a wonderful thanksgiving. I am thankful for my sweet husband, family/friends nearby, and a week off from work to head to the beach! The beach sounds like a dream!! Hi Robyn! 🧡your blog so much! I was curious on the dip recipe, do you still use the cashews since it’s “unveganized”? I’d like to do it exactly as you did because it looks fantastic! 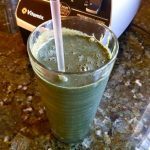 I am thankful for finding this blog! (by way of) Don’t Salt My Game. 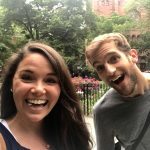 I listened to the episode a few weeks ago, was hooked on what you had to say about periods(or lack there of!) and read most of your posts on amenorrhea. 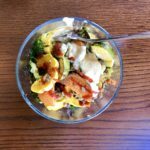 I continued to buckle down on good fats and really made sleep a priority – And the day before thankgsiving, I got my first natural period in over a year and a half! This last year and half is the hardest I’ve known, as I’ve coped with huge disappointments and stresses and anorexia/orthorexia. So I’m thankful for the love and support of my family, the great healthcare that I’ve received(in Boston! ), peace and mental acceptance and confidence and physical health.